All the 43 entries for the Eurovision Song Contest 2018 have been selected. Europe's biggest singing competition takes place in Lisbon, Portugal May 08, 10 and 12. 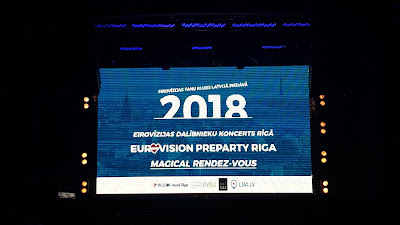 Radio International's David Mann and JP were in Riga, Latvia last weekend where the first Eurovision 2018 Preview event took place with the participation of Mikolas Josef (Czech Republic 2018), Laura Rizzotto (Latvia 2018), Ieva Zasimauskaite (Lithuania 2018), DoReDos with Filip Kirkorov (Moldiva 2018), Markus Riva (National Final Latvia 2018) and special guest from sunny Malta, Amber who represented her country at the Eurovision Song Contest 2015 with the song "Warrior". David and JP interviewed all the participating artists in the Eurovision PreParty 2018 Riga. You will hear those interviews on the shows starting this week with Mikolas Josef. During the event the sad news reached the many media representatives and Eurovision fans of the passing away of the first Eurovision Winner from 1956, LYS ASSIA. Radio International will broadcast a special tribute to the Grande Dame on the show this week. 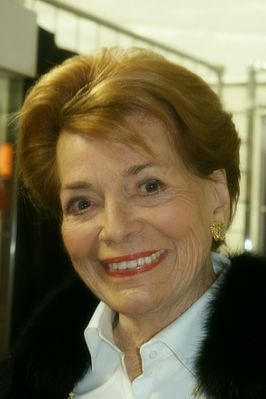 JP had the pleasure of meeting Lys Assia on a few occasions and in 2006 conducted an indepth interview with her you can LISTEN AGAIN here. 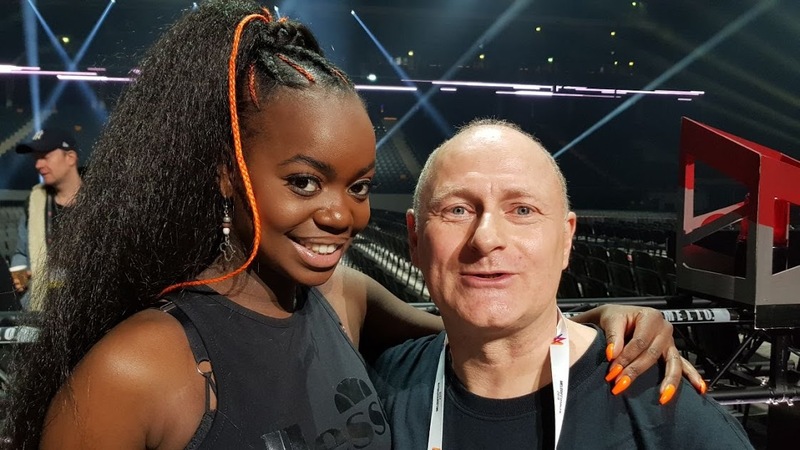 Eurovision Lord Marcus Keppel-Palmer will be taking a look at six more Eurovision 2018 entries which were selected recently as part of this week's Eurovision Spotlight. So what are you waiting for. 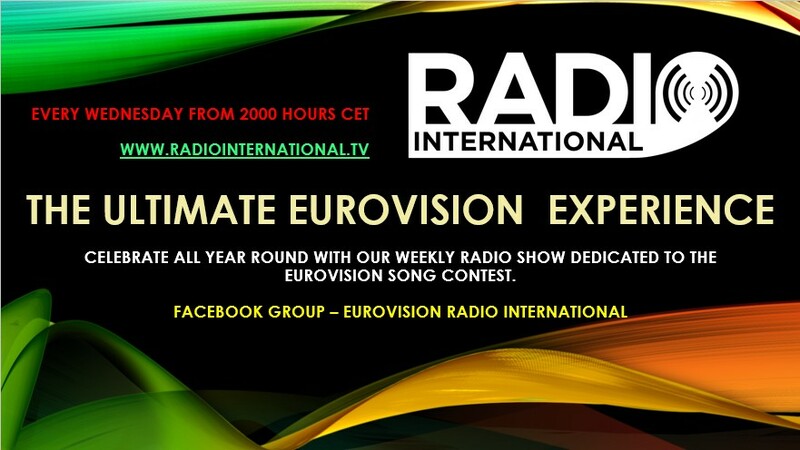 Join in this Wednesday 28 March 2018 live from 2000 - 2300 pmCET for Eurovision Radio International this week. 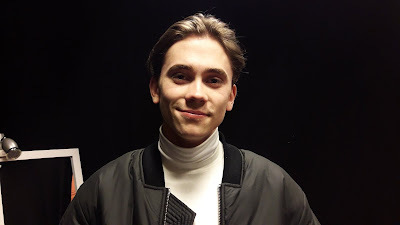 Interview with Felix Sandman (Melodifestivalen 2018, Number 2) - apologies but that interview had to be postponed to next week again. Eurovision Spotlight: The National Final Season 2018 with Marcus Keppel-Palmer. 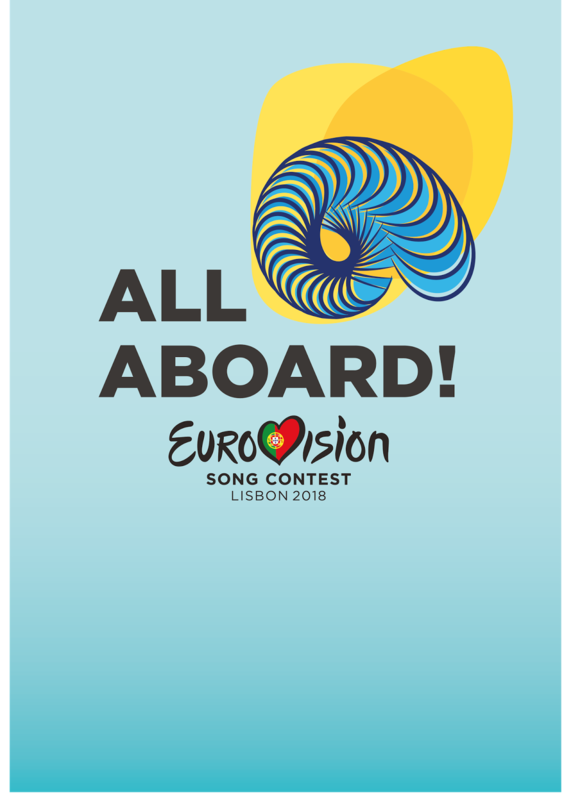 With the final batch of Eurovision 2018 songs that were selected for the contest. We'll be hearing the songs that will represent their country at the Eurovision Song Contest 2018: Austria, Azerbaijan, Finland, Macedonia, Russia and Sweden. Sad news reached the Eurovision world Saturday afternoon, 24 March 2018 with the passing of the very first Eurovision Song Contest Winner Lys Assia who won for Switzerland with the song "Refrain" in 1956. 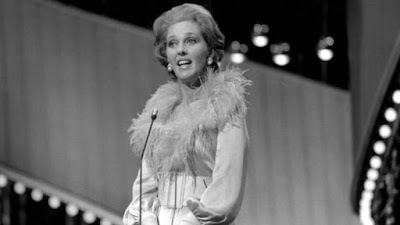 Radio International had the pleasure to interview the Queen of Eurovision in 2006. You can hear the full interview at the link below. 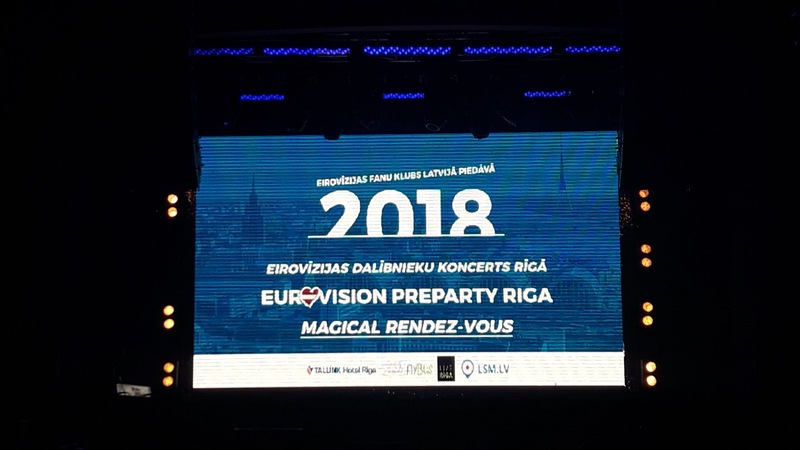 The annual Eurovision Pre party 2018 Riga takes place tonight Saturday, 24 March 2018. Today started with a sight seeing tour of Riga, the home of the Eurovision Song Contest 2003 from Riga's Skonto Hall. This was followed by a press conference in the Crystal Club with the invited guests who will be representing their countries: DoReDos from Moldova accompanied by the songwriter Philip Kirkorov , Laura Rizzotto from Latvia, Ieva Zasimauskaite from Lithuania and Mikolas Josef from the Czech Republic. Further as special guest was Malta's 2015 representative Amber. 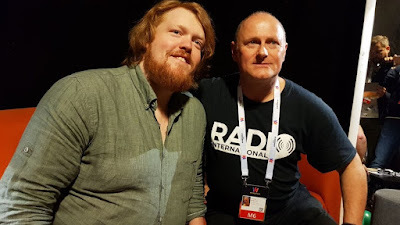 David and JP from Radio International were at the press conference and conducted interviews with the participating artists which you can feast on the upcoming editions of Radio International as well as on our YouTube channel. But for now the concert will be transmitted online Saturday, 24 March 2018 starting at approx 1930 hours CET at the following link. All the 43 entries for the Eurovision Song Contest 2018 have been selected. Europe's biggest singing competition takes place in Lisbon, Portugal May 08, 10 and 12. 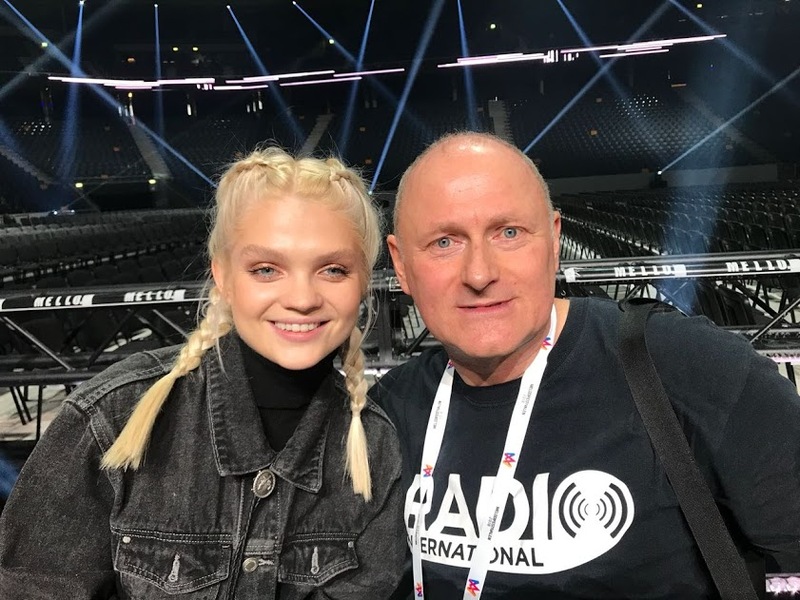 Radio International's JP was in Stockholm, Sweden interviewing all the artists taking part at Sweden's Melodifestivalen 2018. A special thanks for the great collaboration with Marc and Salman from Germany's Prinzblog. 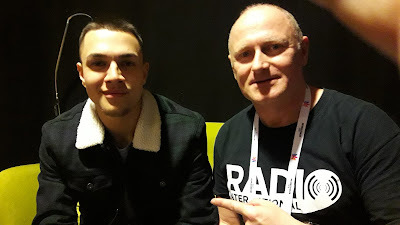 This week's edition of Radio International will continue to recap Melodifestivalen 2018. 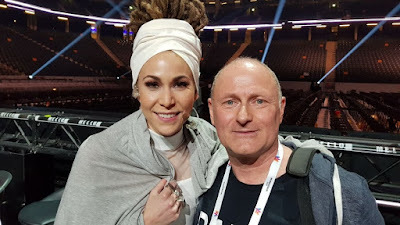 Also David Mann was at the national final of San Marino and submitted some interviews with Jessika who will be representing San Marino at Eurovision 2018. Then Chris Poppe will be taking a look at six more Eurovision 2018 entries which were selected recently. So what are you waiting for. Join in this Wednesday 21 March 2018 live from 2000 - 2300 pmCET for Eurovision Radio International this week. 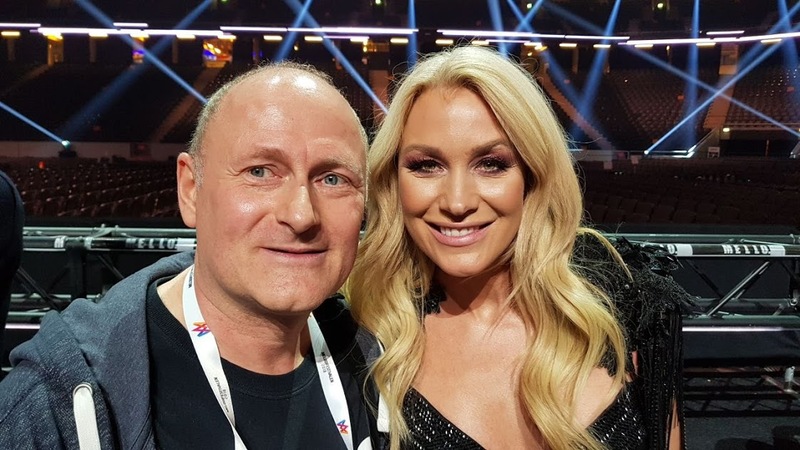 Eurovision Spotlight: The National Final Season 2018 with Chris Poppe. With more Eurovision 2018 songs that were selected last week. We'll be hearing the songs that will represent their country at the Eurovision Song Contest 2018: Austria, Azerbaijan, Finland, Macedonia, Russia and Sweden. This weekend saw the final national finals in Sweden, Norway and Lithuania plus the announcement of Russia's Eurovision enty. 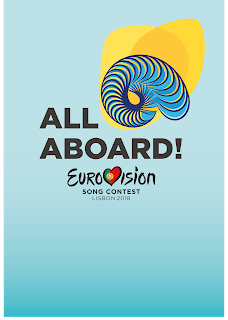 With this week the 43 entries for the Eurovision Song Contest 2018 to take place in Lisbon, Portugal May 08, 10 and 12 are selected and the National Final Season 2018 is over. Radio International's JP was in Stockholm, Sweden interviewing all the artists taking part at Sweden's Melodifestivalen 2018. A special thanks for the great collaboration with Marc and Salman from Germany's Prinzblog. 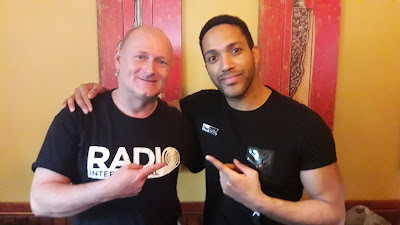 So this week's edition of Radio International will recap Melodifestivalen 2018 in our first part and JP brought back some interviews with the particpating artists. Also David Mann was at the national final of San Marino and submitted some interviews with Jessika who will be representing San Marino at Eurovision 2018. Then Dermott Manning will be taking a look at six Eurovision 2018 entries which were selected recently. So what are you waiting for. Join in this Wednesday 14 March 2018 live starting an hour later exceptionally from 2100 - 2359 pmCET for Eurovision Radio International this week. Melodifestivalen is Sweden's national televised music competition to find the best new song of the year. The winner of the competition then goes on to represent Sweden at the Eurovision Song Contest. Twenty-eight acts go through four Semi Finals and a Second Chance round before the top twelve go into the Grand Final of Melodifestivalen 2018, held once again at the Friends Arena in Solna (near Stockholm) in front of a live audience of almost 30000 spectators, plus millions of TV viewers both in Sweden and abroad. 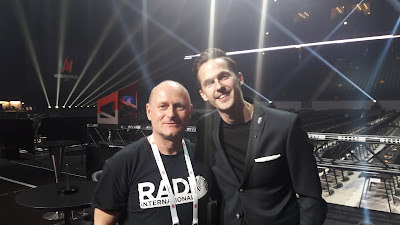 Since 2009, Radio International has been present each year at the Melodifestivalen Grand Final rehearsals and interviews the artists, the producer and the hosts. In this clip, we talk to Mariette, starting eighth in Melodifestivalen 2018 with the song "For You". This is Mariette's third participation in Melodifestivalen. "Don't stop believing" (3rd place in 2015), "A Million Years"(4th place in 2017) and in 2018 with "For You". Also we saw Mariette as Spokesperson announcing the votes from Sweden at the Eurovision Song Contest 2015. 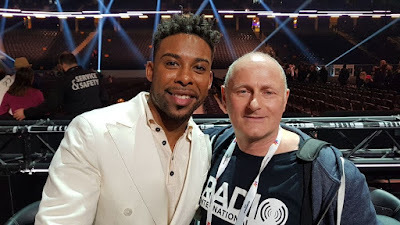 In this clip, we talk to John Lundvik, starting fourth in Melodifestivalen 2018 with the song "My Turn". Normally John is a song writer but this year wanted to try out to be a singer in the competition as well. Also there is a connection the Swedish Royal Family. Find out details by watching this interview. In this clip, we talk to Jessica Andersson, starting fifth in Melodifestivalen 2018 with the song "Party Voice". Jessica already represented Sweden at the Eurovision Song Contest 2003 with her singing partner Magnus Backlund collectively known as Fame and the song "Give me your love" reaching Number 5 in Riga. In this clip, we talk to the Host of Melodifestivalen Final 2018 David Lindgren, who also hosted to show in 2017 and took part as a singer on three occasions. In this clip, we talk to newcomer The Rolandz who are closing in Melodifestivalen Final 2018 competition at Number 12 with the song "Fuldans". In this clip, we talk to newcomer Renaida who is starting second in Melodifestivalen Final 2018 with the song "All the Feels". In this clip, we talk to newcomer Martin Almgren who is starting third in Melodifestivalen Final 2018 with the song "Bitter Sweet Lullyby". In this clip, we talk to Mendez who is originally from Chile, opening up Melodifestivalen Final 2018 with the song "Everyday". This is Mendez's second participation in Melodifestivalen. 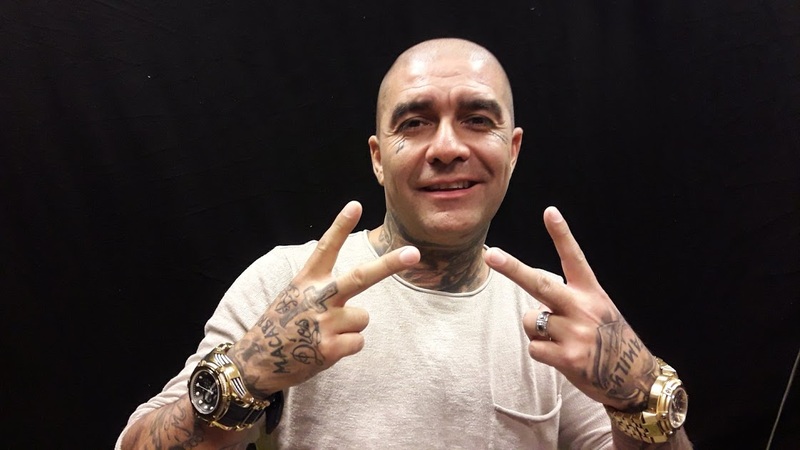 The first time was back in 2002 when he came second with the song "Adrenaline". 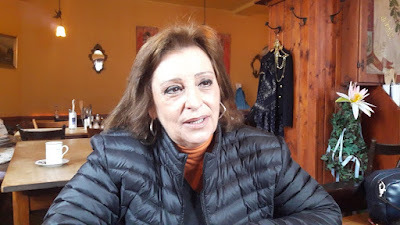 We spoke to Mendez during the rehearsals on 08 March 2018. 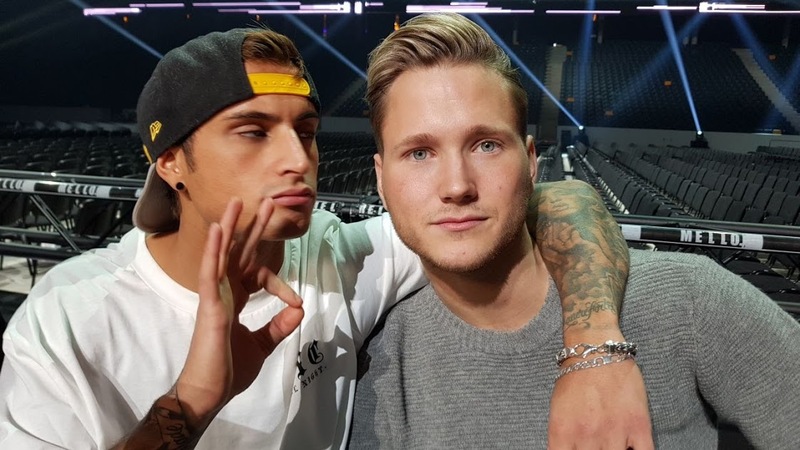 Samir and Viktor (2018) "Shuffla"
In this clip, we talk to Samir and Viktor, starting in seventh position in the running order of the Melodifestivalen Final 2018 with the song "Shuffla". This is Samir and Viktor's third participation in Melodifestivalen as they debuted in 2015 with the song "Groupie" and in 2016 with the song "Bada Nakna" and now in 2018 "Shuffla". We spoke to Samir and Viktor during the rehearsals on 08 March 2018. 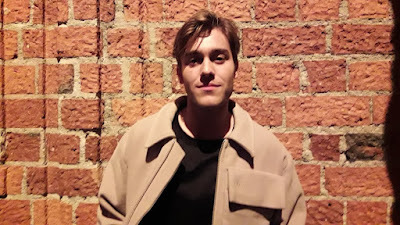 Benjamin Ingrosso (Melodifestivalen 2018) "Dance you off"
In this clip, we talk to Benjamin Ingrosso at the Opening Reception in the Town Hall of Stockholm. "Dance you off" starts in eleventh position in the running order of the Melodifestivalen Final 2018. 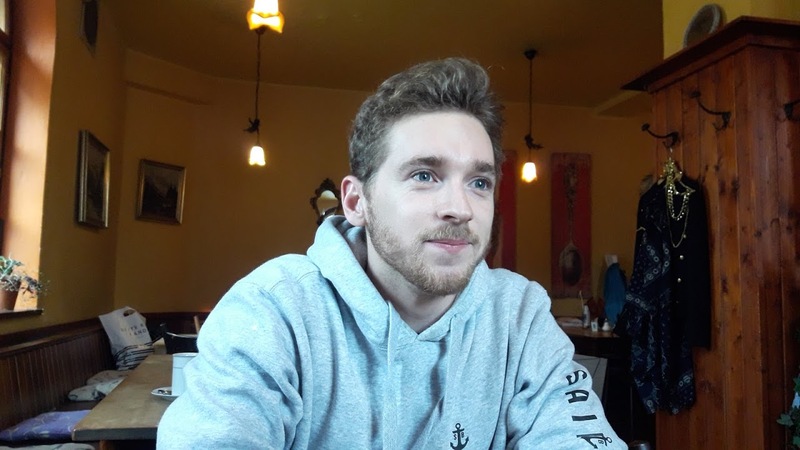 In this clip, we talk to LIAMO, starting in sixth position in the running order of the Melodifestivalen Final 2018 with the song "Last Breath". We spoke to LIAMO during the rehearsals on 08 March 2018. Felix Sandman "Every Single Day"
In this clip, we talk to Felix Sandman, starting in ninth position in the running order of the Melodifestivalen Final 2018 with the song "Every Single Day" which rocketed to Number 1 in the Spotify Charts. We spoke to Felix during the rehearsals on 08 March 2018. 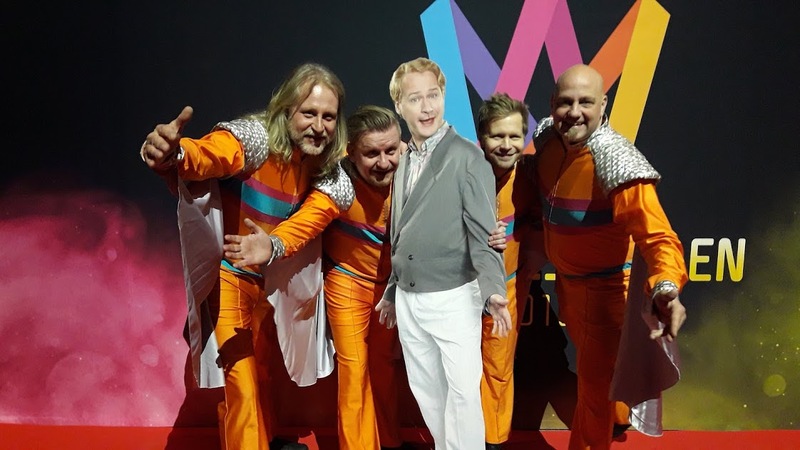 OGAE Germany held their annual 2018 Eurovision Convention in Munich, Germany with the particiaption of five Eurovision acts and they were Eurovision Winners Paul Harrington and Charlie McGettigan (Ireland 1994), Nathan Trent (Austria 2017), Omar Naber (Slovenia 2005 and 2017), Manuela Bravo (Portugal 1979) and as a surprise guest Sonja Lumne (Finland 1985). In this clip see the interview that JP did with Portugal's 1985 representative Manuela Bravo who came 9th with the song "Sobe, Sobe Balao Sobe". Find out what Manuela is doing these days and how Eurovision changed her life and shaped her career. In this clip see the interview that JP did with Finland's 1985 representative Sonja Lumne who came 9th with the song "Eläköön elämä". Find out what Sonja is doing these days and how Eurovision changed her life and shaped her career. Two Eurovision Super Saturdays are behind us now and one more to come with Sweden and Norway (among others) are selecting this coming weekend their Eurovision entry for the Eurovision Song Contest 2018 to take place in Lisbon, Portugal May 08, 10 and 12. This week's entire third hour is devoted to the biggest national final there is in the Eurovision selection process and that is Sweden's Melodifestivalen. JP will play all 12 competing acts out of which one will the the act representing Sweden at the Eurovision Song Contest 2018. DJ Monzta has produced a special Melodifestivalen Megmix to get you into the mood for Melodifestivalen 2018. JP is in Sweden and therefore the format of the show has changed slightly. Some reguar items are paused and will be returning to the show again next week. Then JP had the pleasure to meet and interview Finland's reprentative from 1985 - Sonja Lumne who came 9th with the song "Eläköön elämä". Further details of the show content is below. 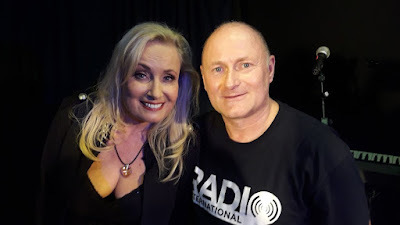 You are cordially invited to this week's edition of the Radio International with lots of great Eurovision music and new material from the Eurovision artists, interviews, fun and lots of Eurovision Song Contest. Join in this Wednesday 07 March 2018 live from 2000 - 2300 pmCET for Eurovision Radio International this week.